I’ve no idea if this has got a proper name… so this will do for now! 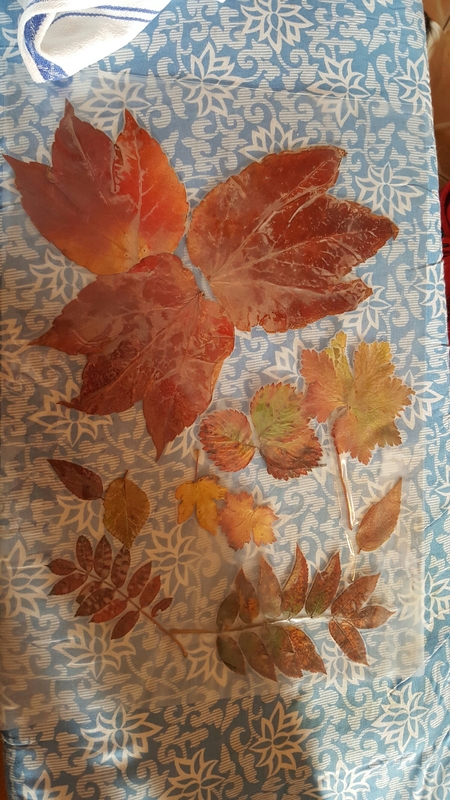 During an autumn walk we collected lots of beautiful autumn leaves. 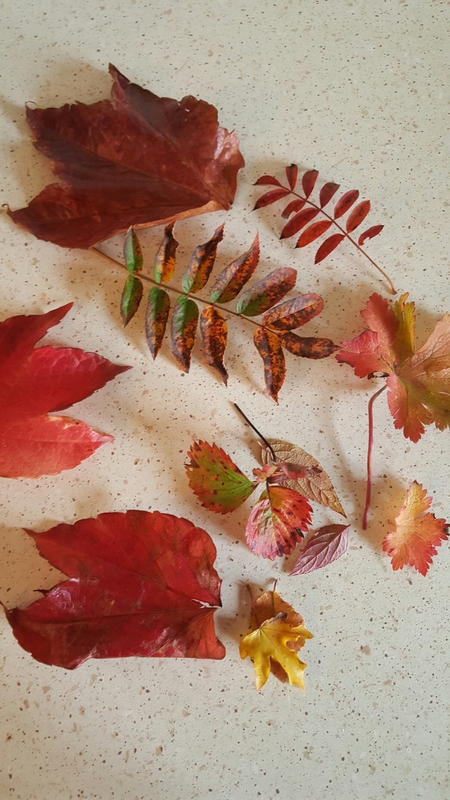 I really love red leaves… as you can probably tell! Pop them in a laminating pouch. I used an A3 one today. But any size will do. 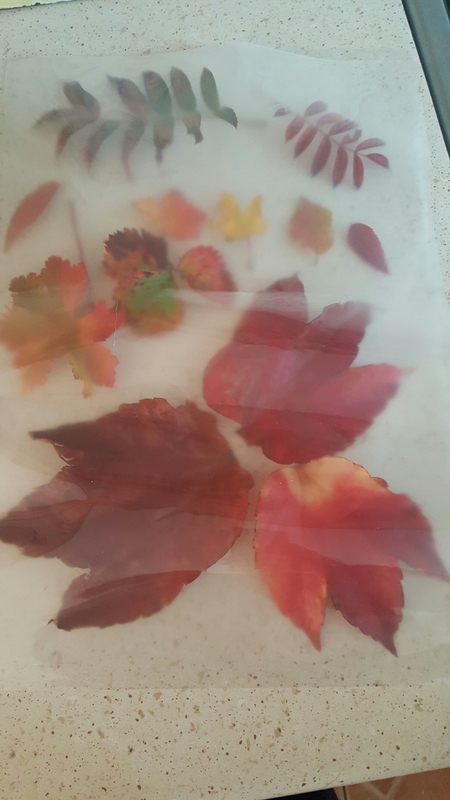 I used an iron to seal the pouch as I didn’t think it would be a good idea to put it through a laminator! Put a tea towel on top (a must or it will melt onto your iron!). Then iron. This takes a couple of minutes as you’ll want to make sure it’s properly sealed. Once done you know you can give it to your baby without the fear of them eating the leaves! 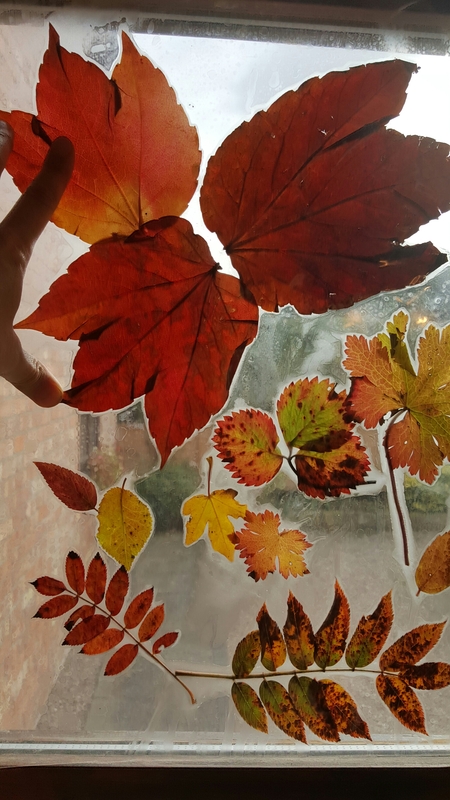 I’ve displayed ours in piglets bedroom window now. Which I think looks fabulous! 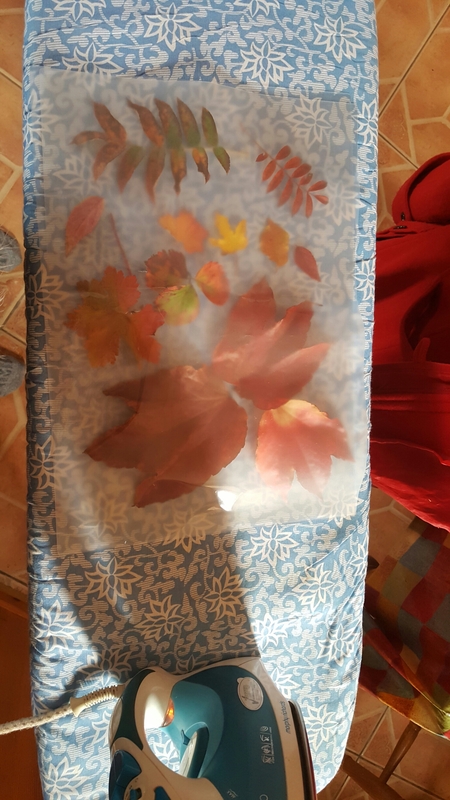 For older children you could cut out the leaves and you them for sorting. You could draw on them using permanent markers. Put magnets on the back and make a picture on your fridge. Make a mobile out of them and you could add some conkers to this.